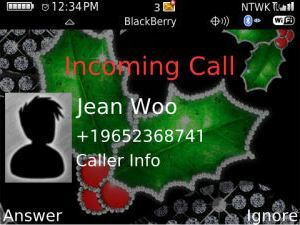 This Christmas Blackberry users have lots of surprises in stores with Christmas delights for users to explore on BlackBerry smartphone. Ranging from Christmas themes, Christmas Carols, Picture editors for those special moments that you can cherish forever and much more! Comes with Neon style icon set, highlight, and elements all the way, and in every detail one can download the animated version of the theme from app store. Come with high quality photoframe theme,all you need is to add your photo.The font is set as default and can be set by the user.The new mobstar Slider adds more Icons (81xx, 83xx, 87xx and 88xx currently NOT supported). 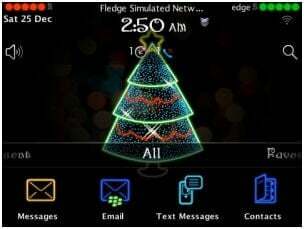 A holiday theme at a great holiday price. Designed for BlackBerry devices with 480 x 360 non-touch screens. Includes a hidden dock with 8 user definable icons. Your BlackBerry takes great pictures and you use it all the time to record the happy moments in your life. 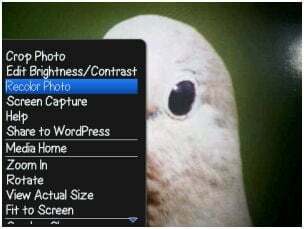 What if you want to recolor your picture, maybe make it sepia or black and white and then share it with your loved ones? Not any more though! Download Photo Editor- Recolor to make life easy and recolor any picture you take using your BlackBerry, straight off your handset. Save the modified file and then share it with friends and family as much as you want! 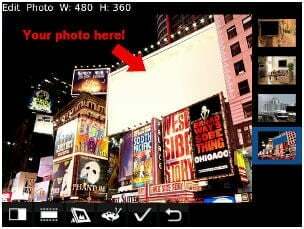 Once you have installed the app, just go to gallery, select a photo, press menu and opt for “recolor photo”. Recolor the photo till you are happy with the results! This is an app that will definitely bring a smile to your face! Karaoke style sing-along brings the famous Christmas Carol “Angels We Have Heard on High” to your device. Includes a beautiful high quality version of the song and lyrics. Words are highlighted as the song progresses, making singing along easy for everyone to enjoy. Over 40 categories / themes: Sunsets, Beaches, Cars, Sports, Animals, Girly, For Guys, Games, People, Flowers, City, Movies, Music, Love, Valentine s Day, Christmas, Military, Funny, Quotes, Money, Cats, Dogs, Hearts, Cute, Peace, have been added with lots of new backgrounds and one has to update version 1.0.0.9 to avail all the features for free. This is a free e-book that can be downloaded from BlackBerry app world. PhotoClub enables your BlackBerry as a funny make machine with photos! It includes Adjust Photo, Add Clip art, Add Frames, Add Effect and Add Custom Elements these useful and funny functions. 9.BMS – BookMyShow – The new BookMyShow application for BlackBerry is now available absolutely free. The first version of the application offers movie ticketing, and will be upgraded to offer play, concerts and sports tickets soon. The BookMyShow application currently works only for devices running software version 4.6 and higher. Movie and cinema listings, showtimes, seats selection as well as the tickets can be bought directly from your phone. 10.Fine Dining – The BookUrTable App is a simple and convenient way to search and select a restaurant based on city, cuisine, locality from our wide network of restaurants and make a dining reservation at the restaurant of your choice and get an instant confirmation. Registration is required to improve the user experience. So the user is auto registered based on his mobile no when s/he makes a reservation. This Application can be used even if the user doesn’t have a data plan.